As word trickled out that North Texas was likely one of three finalists for Amazon’s “HQ2,” Chris Wallace felt optimistic about the region’s prospects. After all, the tech giant had said its priorities included a skilled workforce, logistics infrastructure, and a competitive cost of living. Wallace, who is the president and CEO of the North Texas Commission, believes the region has those characteristics in spades. Instead, this week Amazon (NASDAQ: AMZN) confirmed rumors that the company would award the coveted “HQ2” status to two places: New York’s Long Island City neighborhood and Crystal City in Virginia, just outside of Washington, DC. “We would have loved” to be chosen, says Wallace, whose nonprofit organization counts businesses, municipalities, chambers of commerce, and other local groups as members. 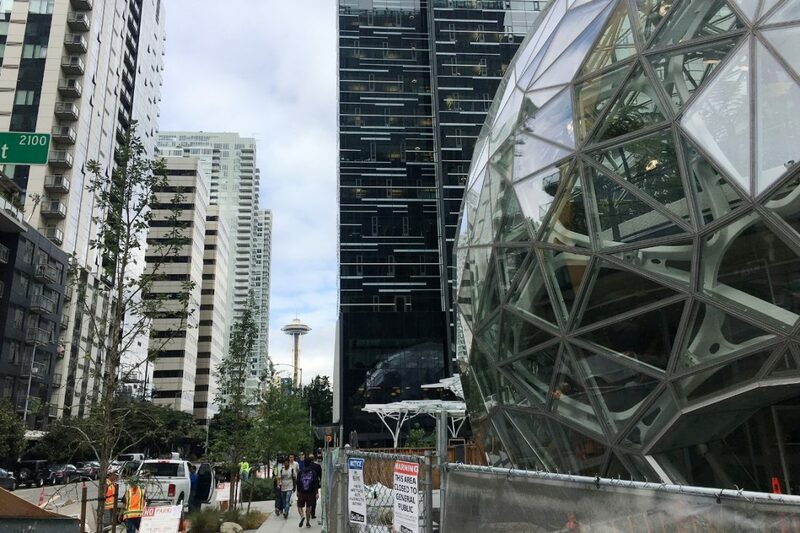 In September 2017, Amazon announced it was looking to launch a second headquarters away from its home in Seattle. That set off a high-profile scramble among mayors, economic development officials, and other civic leaders in North America. Many of them enthusiastically made bids, offering billions in economic and other incentives in hopes of being picked as the place for Amazon’s “second” headquarters. The company said this week it expects to invest $5 billion to build and open its new outposts in New York and Virginia, which Amazon says will eventually employ at least 50,000 high-earning professionals. In all, 238 cities made pitches to the technology company. Wolff acknowledges that those jobs don’t average $150,000-a-year salaries, as Amazon says the positions created at its new Virginia and New York campuses will. But he counters that San Antonio should spend its time and resources on nurturing startups in existing areas of expertise like biotech and cybersecurity, and beefing up access to STEM education to create the tech workforce of the future. Giving Amazon, one of the most successful companies in American history, billions in economic incentives is “crazy in my book,” he adds. For Houston—the nation’s fourth largest city and biggest in Texas—not even making the cut of 20 finalists was “a huge wake up call,” Bob Harvey, CEO of the Greater Houston Partnership said in a January statement. “While there has been growing momentum in the innovation space over the last couple of years, this is a clear indication that we have much more work to do as a region to grow our digital economy,” he said. The rejection injected additional urgency into plans to develop a so-called Innovation Corridor, a four-mile stretch from downtown Houston to the Texas Medical Center. The plans, which city leaders had hoped would include Amazon as the anchor tenant, call for a now-shuttered Sears building to be converted into a startup hub with venture capital firms, university commercialization offices, and groups like Station Houston in residence. More broadly, city leaders have turned their attention to efforts like Houston Exponential, the goal of which is to develop Houston’s natural strengths in technology such as energy, medical devices, and industrial IoT. As Houston moves down the path of a post-Amazon tech scene, so does the Dallas/Fort Worth region. “It’s still a big win because there are so many other deals that have been on the sidelines waiting to hear where Amazon was going,” says Wallace of the North Texas Commission. Xconomy National Correspondent David Holley contributed to this report.